Thanks to your support of Peace*Love*Happiness, and its annual motorcycle ride, John Paul and Gary were able to purchase this amazing animal...All the way from Germany - we are pleased to introduce JP Paws! This German Sheppard just arrived in Austin to take his new post as a Narcotics officer with the Austin Police Department. 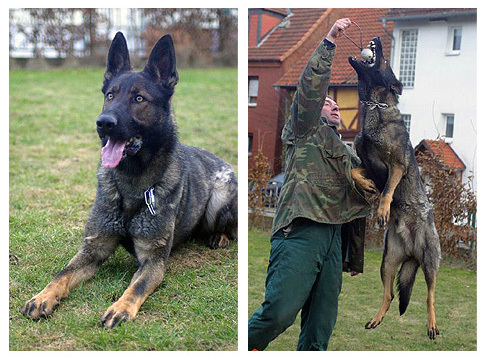 His trainer describes him as having HIGH DRIVE, intense when on the job, and personality plus. We're told he has a wicked sense of humor (and enjoys hiding toys and knocking over food bowls of other dogs!) Please join us on April 13th and 14th, 2012 for our 10th Annual PLH where JP Paws and his human partners will be our special guests!